WOW - now priced to go! 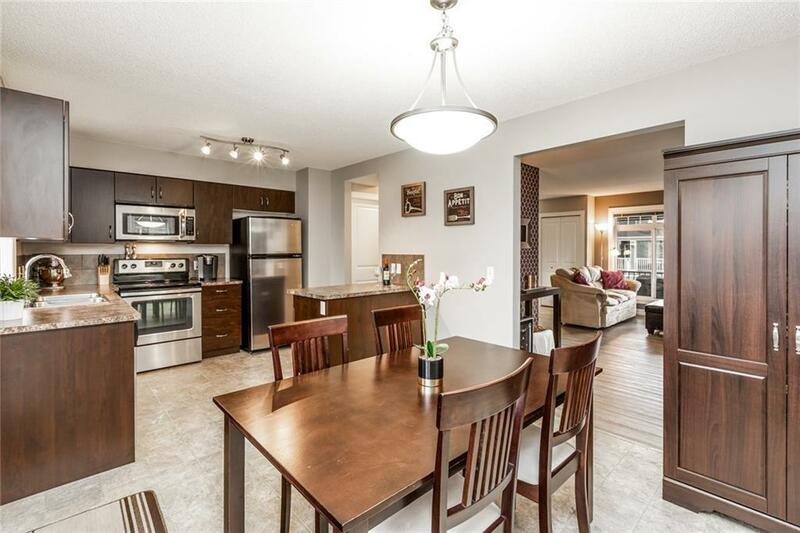 Excellent opportunity to jump on this move in-ready corner town home with 2 bed + 2.5 bath + 2 covered parking stalls! 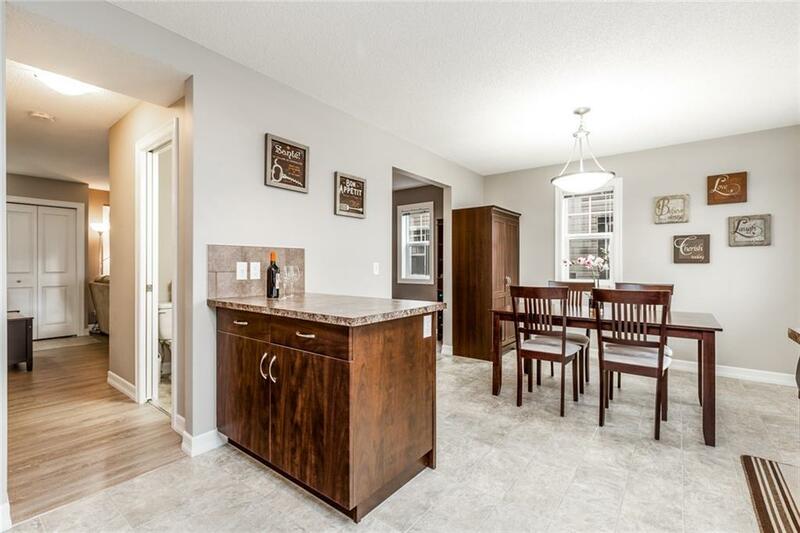 You will love the spacious open concept main floor plan boasting brand new vinyl plank flooring, large south facing windows that are flooded with sunlight and a corner gas fireplace. 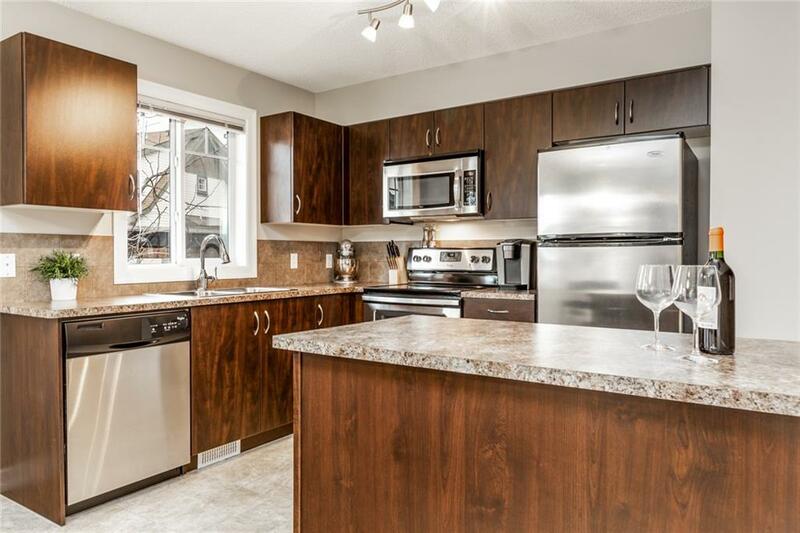 The modern and bright kitchen showcases stainless steel appliances, a large island and plenty of counter space. Upstairs you will find 2 spacious master bedrooms, complete with their own en-suite bathrooms ideal for a roommate or visiting friends + family. Head down the stairs to a large basement area ready for a rec room or extra bedroom complete with a 3-piece bath rough-in and a smartly tucked away laundry room. This home sits on a very quiet residential street with a full-length south facing front porch. 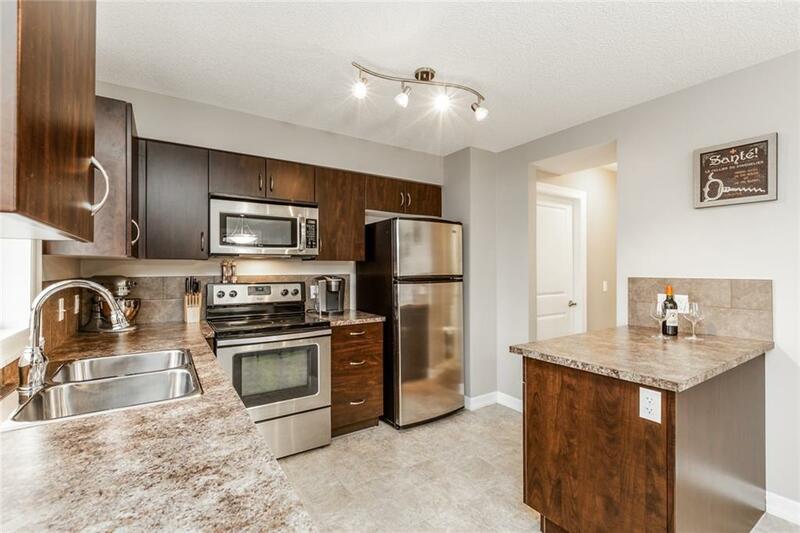 Enjoy close proximity to the endless shopping off 130th, restaurants, pathways, transit, Deerfoot/Stoney trails and South Calgary Hospital.